Affordable luxury new hostel, perfect for Flashpackers! Complimentary continental breakfast included daily! Family owned and operated,Flashpackers Hervey Bay offers affordable luxury accommodation, perfect for backpackers wanting a little more. Being small in size, Flashpackers thrive on prioritizing their guests needs, ensuring their stay is the very best it can be. With palm-shaded patios and tropical outdoor courtyards, the hostel gives a modern and relaxed atmosphere, whilst also keeping the much loved spirit of communal experience of traveling. Whether you choose an eight bed dorm or a private queen ensuite, all rooms provide outstanding comfort. Chill out by the pool with its very own sandy beach or fire up the BBQ with new friends around the outdoor lounges. Why not relax and watch one of the many free movies in the cinema before retiring to your room, with hotel-grade orthopaedic mattresses to boot. 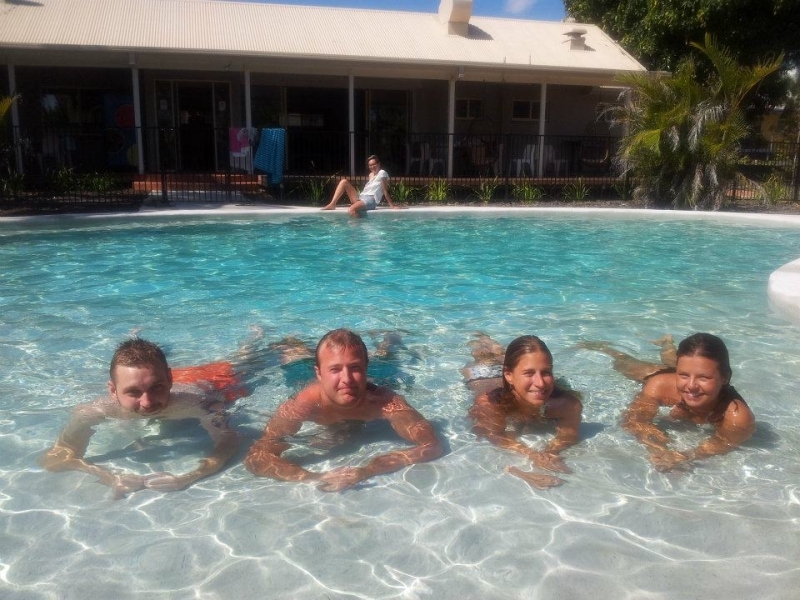 Perfect for before or after an adventure packed trip on Fraser Island, relax and live the life of a Flashpacker! Minimum night stay over XMAS, New Years & Easter applies.